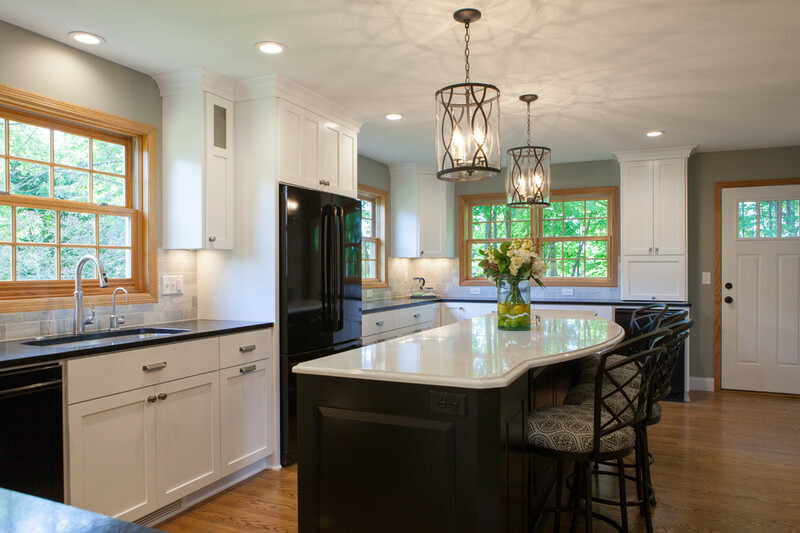 This remodel revolved around creating a functional, yet attractive space, in a New England style Garrison home. 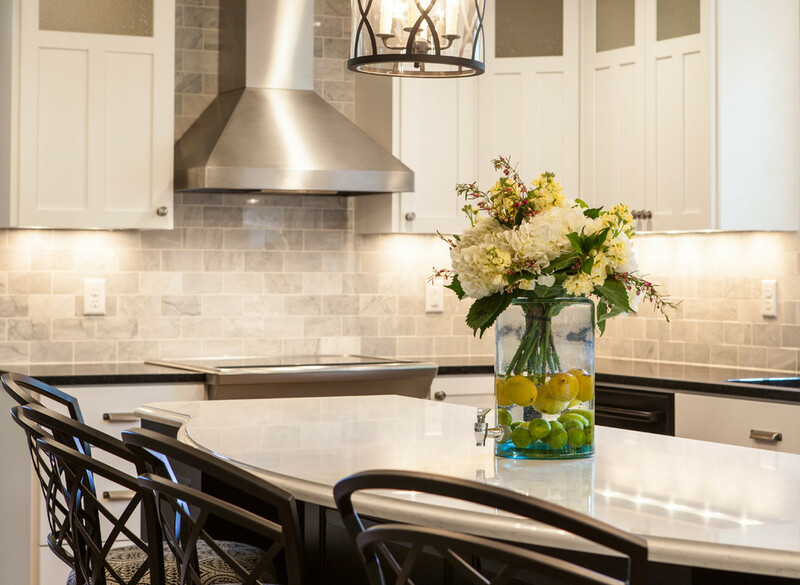 I wanted to complement the features of the home, but also make it practical for their busy lifestyle and accommodating four little kids. We extended the kitchen into was an eat-in dinette near the back wall. This allowed us to upgrade the island for better seating and an easy clean-up prep area where the whole family could participate. 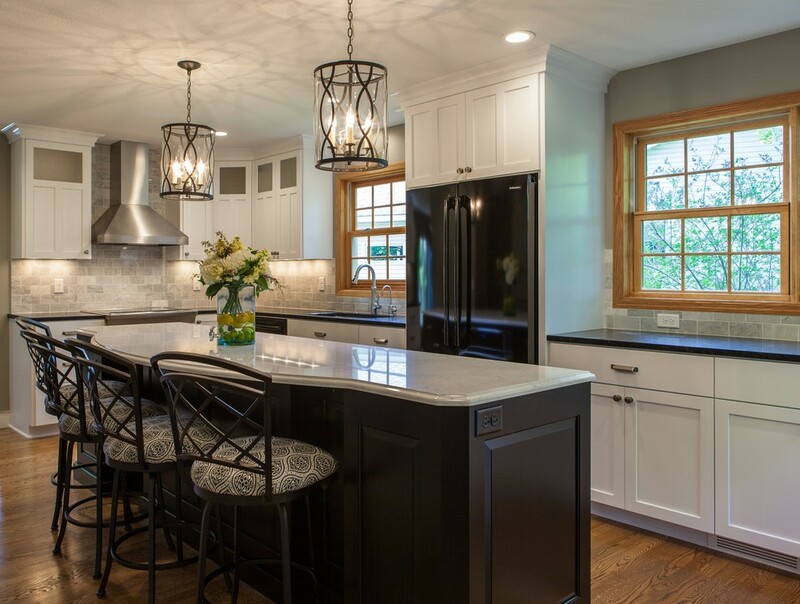 The black appliances are easier to maintain than stainless and "kids' fridge" was added on the lower bank of cabinets, away from the prep area, to allow for after school snacks that were easy to get at. Other areas of the main floor were addressed as well including, paint, lighting, a fireplace makeover, flooring and customizing the mudroom for better organization.